Kielbasa (polish sausage) hot dog at 1 in the morning! 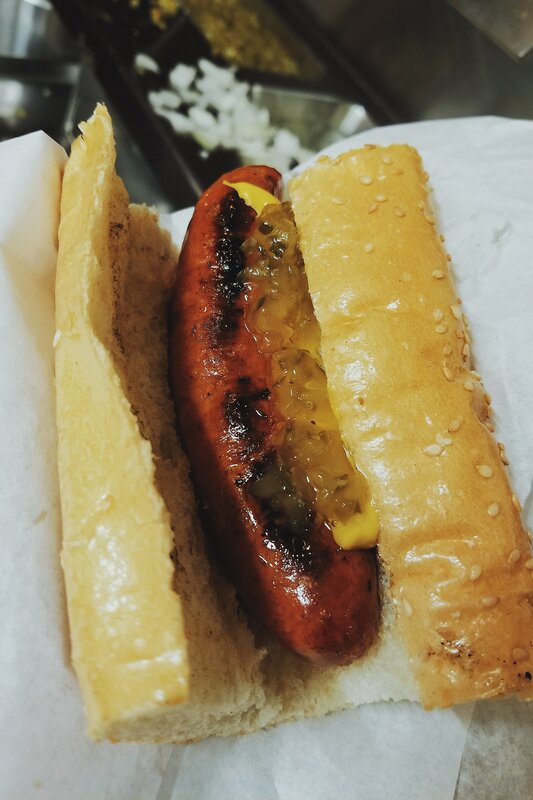 Nothing better than a hot dog done right with a toasted bun after midnight. Delicious! 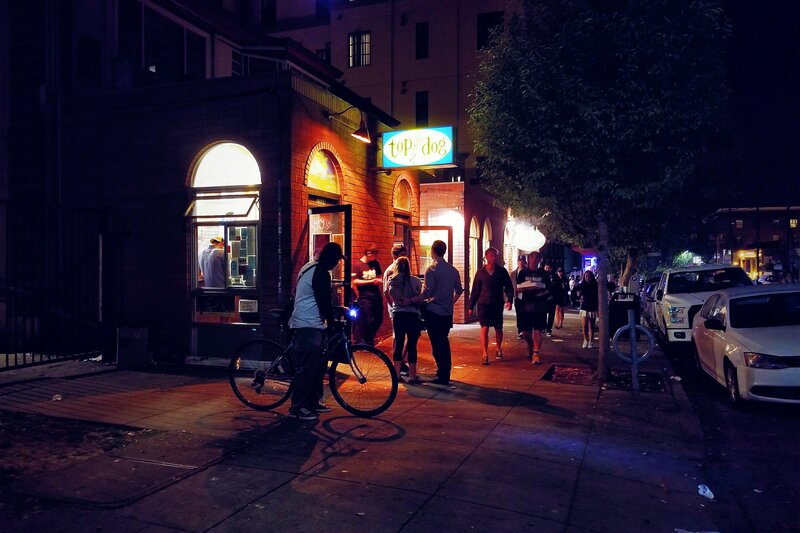 If you’re in the Berkeley area, this place closes at 3am Fridays and Saturdays, the rest of the week at 2am :O Fantastic!